Harold Closter, director of Smithsonian affiliations, presented Irmer with a certificate recognizing the DuSable’s official status as an affiliate of the Smithsonian Institution. “Dr. Margaret Burroughs was a visionary who built this museum from scratch and recognized the need to build a museum from within the community for the community,” Closter said. Perkins said he conferred last week with curators at the Smithsonian in Washington about the challenge of keeping the keepsakes. But now is still “far too soon” for the history center’s executive director to envision a permanent exhibit of the June 12 tragedy that killed 49 people and wounded more than 50 others inside the nightclub which served as a gathering place in Orlando for the LGBTQ community, he said. “It is our mission to make sure theÂ community’s response is not forgotten and is memorialized in its own way for future generations,” said Michael Perkins, manager of the Orange County Regional History Center. Employees from the history center will begin the preservation process. The plan is to save items left in honor of the victims. Teams will box everything up and document each detail. Not only considering the needs of the user, â€œBeautiful Users,â€ which originated at Cooper Hewitt, Smithsonian Design Museum in New York, also looks at how users have â€œhackedâ€ existing products. Itâ€™s one of the most entertaining, and also inspiring, segments of the show because their inventions show the ingenuity of ordinary people in adapting design to fit their needs. The museum has garnered unusual national attention for a facility of its size winning accrediation from the American Alliance of Museums in record time and being picked as one of 210 Smithsonian Institution affiliate museums, meaning the two organizations share artifacts, exhibits, and educational programming. AANM has become a key cultural player in Metro Detroit, Â won coveted recognition from the Smithsonian Institution, and â€” perhaps most significant, given its mission â€” succeeded in attracting half its 2015 attendance of 52,189 from outside the Arab community. The Annapolis nonprofit is now a part of the Smithsonian Affiliations program and will have the opportunity to borrow items from the Smithsonian museums, as well as organize educational collaborations and traveling exhibitions, said Carrie Kiewitt, spokeswoman for Historic Annapolis. The organization is one of six affiliates in Maryland and one of 200 in the country. There will also be the Family Days the Mennello is known for, with kids’ activities involving Lichtenstein’s dots and a “Make Your Own Warhol” event. But, Fitzgerald says, “I want more things for adults to do. We need to connect what’s going on in here with the outside world.” Pop Art Prints seems like the ideal show for the Mennello to bridge the gap between kids and adults, between folk and fine art. Gray was one of 33 middle school teachers in 15 Allegheny County schools to test out the new Smithsonian Learning Lab over the last school year, Naranjo said. The opportunity was made available through the Allegheny Intermediate Unit and Heinz History Center thanks to a grant from the Grable Foundation. ‘Star Wars’ fans are in for a treat served up by the Denver Art Museum this November, 2016. The ‘Star Wars and the Power of Costume’ exhibit begins Nov. 13, 2016. Fans will get the chance to listen to the music of John Williams while they tour through a display of over 60 original costumes from all seven of the films. Get those phones and cameras ready as attendees will get to meet and take photos with ‘Star Wars’ characters. The costumes of ‘Star Wars’ are not only pop culture, they are a part of most peopleâ€™s lives. Most any person can be shown a costume and they can instantly identify the character by the brilliance in the design. Evans, who was born in 1903 in St. Louis and died 72 years later, is the subject of a long-overdue traveling exhibition of 120 picturesâ€”a relatively small sample of his remarkable lifeâ€™s workâ€”organized by the High Museum of Art in Atlanta (a Smithsonian Affiliate), the Josef Albers Museum Quadrat in Bottrop, Germany, and the Vancouver Art Galley. The show will be in Atlanta from June 11 until September 11. This year, as the Doylestown museum celebrates its centennial anniversary, it has another honor to fete. Last month, museum officials announced that it was named a Smithsonian Institution Affiliate, along with its sister site, Fonthill Castle, Henry Mercer’s former home. The designation makes them two of 210 affiliates in the country and forges a relationship with the Smithsonian that allows the institutions to share knowledge, artifacts, and exhibitions. Two Bucks County institutions have been named affiliates of the Smithsonian Institution, giving them a wider cache of collections and artifacts, exhibitions, research and educational collaborations. The Bakken Museum has been named a Smithsonian Affiliate which means it will share research, collaborate on exhibitions, and borrow items from the Smithsonianâ€™s 136 million piece collection. Itâ€™s the first Smithsonian Affiliate in Minnesota, but one of more than 200 in 45 states, Puerto Rico and Panama. The affiliation means a long-term partnership between the Bakken and Smithsonian Institution with opportunities to collaborate on projects. Pacific Aviation Museum Pearl Harbor and the Japanese Cultural Center of Hawaii held a regional youth summit May 17 at the museum on the topic of Japanese American incarceration during World War II.Â The program engaged young people in a conversation about the nationâ€™s past and its lessons for today, and was sponsored by the Smithsonianâ€™s National Museum of American History in collaboration with affiliated museums. Congrats to these Affiliates on their recent accomplishments! The San Diego Air & Space Museum (San Diego, CA) recently selected 13 graduating seniors from San Diego County high schools to receive a total of $51,000 in scholarships. These scholarships are awarded annually to inspire young people to tackle the challenges of the science, technology, engineering and mathematics academic disciplines, and to make a difference in tomorrowâ€™s world through an innovative, adventurous spirit. Framingham State University (Framingham, MA) received $7,800 from The MetroWest Health Foundation for the development of programs and resources related to sexual violence education and prevention. Duke Energy Foundation has awarded a $15,000 grant to Conner Prairie (Fishers, IN) to help establish a new makerâ€™s program set to debut in phases starting later this year. The grant will help Conner Prairie develop and prototype programming, create temporary venues to implement and evaluate its programs and provide continued learning opportunities for teachers that focus on how the making movement supports STEM learning. The grant will also help the museum build a permanent maker space that will feature year-round programming and maker-oriented school programs that meet or exceed Indianaâ€™s educational standards. Iowa Department of Cultural Affairs through the Historical Resource Development Program awarded Dubuque Museum of Art (Dubuque, IA) $14,500 to help the museum conserve and exhibit a set of historic architectural drawings, created by renowned landscape architect Alfred Caldwell, of Eagle Point Park. The Flushing Council on Culture and Arts, based in Flushing Town Hall (Flushing, NY), received nearly $600,000 in capital funding from the borough of Queens. The Connecticut Humanities Council announced that Mystic Seaport (Mystic, CT) is the recipient of a $9,979 grant that will help the maritime museum establish two training programs for the museum staff. One program will explore methods of producing interpretive techniques while the other will encourage the use of evaluation for continuous improvement. California African American Museum (Los Angeles, CA), Stephanie DeLancey, and dewdropstudios: for the exhibit Coloring Independently: 1940s African American Film Stills from the Collection of the California African American Museum. HistoryMiami (Miami, FL) for the exhibit Operation Pedro Pan: The Cuban Childrenâ€™s Exodus. Indiana Historical Society (Indianapolis, IN) for the project Indiana History for the Secondary Classroom. Montana Historical Society (Helena, MT) for the exhibit Forgotten Pioneers: The Chinese in Montana. North Carolina Museum of History (Raleigh, NC) for the exhibit Starring North Carolina! Greensboro Historical Museum (Greensboro, NC) for the exhibit Warnersville: Our Home, Our Neighborhood, Our Stories. Senator John Heinz History Center (Pittsburgh, PA) for the exhibit We Can Do It! WWII. Birthplace of Country Music Museum (Bristol, TN) for the Birthplace of Country Music Museum permanent exhibits. Museum of History & Industry (Seattle, WA) for the exhibit The Legacy of Seattle Hip-Hop. Second Place – Division II Newsletters & Magazines for the Reflections Newsletter publication intended to share information about the AACA Museum exhibits and activities with our members and donors. Second Place – Division II Events & Public Promotions for the Back to the Future 30th Anniversary Tribute Car & Future Day promotional event. Second Place – Division II Film & Video for the Motorbikes for the Masses exhibit promotional video hosted on the AACA Museum website and social media channels. Second Place – Division II Educational Programs for the grade specific educational materials created by Lebanon Valley College Masters students inspired by AACA Museum exhibits. Third Place – Division II Events and Public Promotions related to the 6th Annual Wedding Showcase event held in February. Third Place – Division II Films & Video for the Lotus: The Art of Lightness video to promote the exhibit to visitors of the AACA Museum website. The readers of Miami New Times have named The Wolfsonian (Miami Beach, FL) as Miamiâ€™s Best Museum of 2016! The Honorable Dennis Ross (Florida) recognized in the Congressional Record, the Polk Museum of Art (Lakeland, FL) for itsâ€™ 50 years of service to the community. The Mid-America Science Museum (Hot Springs, AR) is one of 10 recipients of the 2016 National Medal for Museum and Library Service, the nationâ€™s highest honor given to museums and libraries for service to the community. For 22 years, the award has celebrated institutions that respond to societal needs in innovative ways, making a difference for individuals, families, and their communities. Best wishes to President and chief executive, Stuart Ashman of the Museum of Latin American Art (Long Beach, CA) who announced he will be stepping down from his position in July to take a leadership position at the Center for Contemporary Arts Santa Fe in New Mexico. what’s going on in Affiliateland this summer? Short answer – A LOT! The South Dakota State Historical Society featured Searching for Life in the Solar System, a web program from the National Air and Space Museum on 7.9. The Denver Art Museum opened the Rhythm and Roots:Â Dance in American Art exhibition, featuring artworks on loan from the National Portrait Gallery and the Smithsonian American Art Museum, in Denver, 7.10. Dr. Damion Thomas, sports curator at the National Museum of African American History and Culture, presented a talk on African American baseball leagues at the Institute of Texan Cultures in San Antonio, 7.16. LA Plaza de Cultura y Artes hosted a collecting initiative event around Latinos and Baseball: In the Barrios and the Big Leagues with curators from the National Museum of American History, 7.17. Affiliations director Harold Closter attended and welcomed the California African American Museum into the Smithsonian family at an Affiliate announcement in Los Angeles, 7.20. Founding director and senior scholar Loren Schoenberg from the National Jazz Museum in Harlem led a public program/performance on Duke Ellington for the Smithsonian Associates in Washington, 7.21. Several staff from Affiliates took part in the George Washington University Museum Leadership Training Program in Washington, 7.25-26. 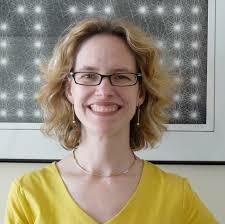 Design curator Ellen Lupton to speak in Atlanta in August. Ellen Lupton, a curator at the Cooper Hewitt, Smithsonian Design Museum will present a talk on her recent work on design exhibitions at the Museum of Design in Atlanta, 8.2. The National Museum of Industrial History will open its doors to the public and host a dedication ceremony featuring staff from the Smithsonian, in Bethlehem, 8.2. Manda Kowalczyk, conservator from the National Postal Museum, will participate in Pittsburgh’s Hidden Treasures: An Antiques Appraisal Show at the Heinz History Center in Pittsburgh, 8.7. The College Park Aviation Museum will open Mail Call, an exhibition from the National Postal Museum and SITES in College Park, 8.6. The Orange County Regional History CenterÂ will open SITESâ€™ Searching for the Seventies: The DOCUMERICA Photography Project in Orlando, 8.20.
https://affiliations.si.edu/wp-content/uploads/2016/07/lupton.jpg 224 225 Jennifer Brundage https://affiliations.si.edu/wp-content/uploads/2019/03/si_Affiliations_rgb_single-line_color-280w-1.jpg Jennifer Brundage2016-07-26 12:36:492017-03-10 17:51:05what's going on in Affiliateland this summer?